I run an organization that works to love refugees, so of course I’ve always had a heart for them and seen the value of this, right? You’d think that when God gave me this opportunity, that I was ready and knew what I was doing. At least, I thought that is how it should be. It couldn’t be the farthest thing from the truth. Some of you might be saying that this isn’t for me: I’m not ready, or qualified to love my neighbor, the foreigner, the stranger, the refugee. I want to start off by sharing about my story. When my wife and I felt like God was giving us this opportunity to start an organization to holistically serve at-risk communities here in Denver initially I was excited. However, as we were further challenged with the idea of focusing on refugee communities I got cold feet. I had little to no idea of their needs, who they were, how I could help, if they existed in our city and to what extent. In fact, I had reservations because being conservative I wasn’t sure that I even believed they should be here from a political position. Then once we began building relationships in the community, God was opening doors for us in the Somali community, who are Muslims. Nothing too polarizing about this setting that God is creating, especially for a white boy from Northern Virginia, who grew up the son of a pastor from a conservative baptist church! God has brought me on a journey. This journey involved gaining an understanding for God’s heart for all foreigners, strangers and aliens (certainly a refugee falls into that category). God guided me through verse after verse. Prior to starting Hope In Our City I worked for an organization serving orphans and widows in SE Asia. I knew God’s heart for them throughout the scripture. But I didn’t stop to see His heart for the foreigner, even when in many cases it is in the same sentence as his heart for the orphan and widow. Deuteronomy 10:18-19 says “He defends the cause of the fatherless and the widow, and loves the alien, giving him food and clothing. And you are to love those who are aliens, for you yourselves were aliens in Egypt.” The theme of this verse is loving the alien. How had I missed this? Then, the next piece of my journey was I began to learn the facts. This broke down so many lies I had believed which led to misguided fears. The truth has a way of giving space for freedom from captivity, and that’s what it did for me. It gave me the space to wrestle through this. Lastly, God introduced me to the stories and graciously allowed me to be a part of them. I began to meet men, women and children who I now consider heroes. These humans have experienced more hardship than I can ever imagine. One mom lost 3 kids while in Somalia to starvation, military brutality and disease, then lost another 4 kids while living in the UN Refugee Camp for over a decade before she won the lottery and her number was called to leave the refugee camp and head to America. This woman is a hero and someone I learn a lot from. This 3rd part of my journey: the stories, the lives, the people, is what I want to share with you. The first story I want to share with you is about a young woman who has become a good friend. She takes public transportation to and from school. One day, an older, white woman came up to her yelling at her. She began to blame my friend for what happened on 9-11, calling her a terrorist and that she needed to go back to her home country. My friend’s response was to tell this woman not to judge her for what is on her head, but for what is in her head. The older woman walked away speechless. However, this left a scar, a lasting imprint for my friend. The truth about who she is, is that she is a senior in high school, just a young woman. She’s won scholarships from numerous organizations to attend college. She wants to go into the medical profession with the hope to become a doctor so she can work with Doctors Without Borders and give back to those who don’t have because she can relate to them. She’s not a terrorist, not an American-hater, not even a Christ-hater. Some of the deeper ramifications, and the unseen consequences of this are that my friend, and the rest of the world knows that America proclaims to be a Christian nation. So when this woman acts so hateful and judgmental toward my friend, all my friend can assume is that she is a Christian because she is an American and is angry toward the Muslims. Now not only do we have an already uphill battle to share the Gospel with my friend because she is a Muslim and all the cultural, religious, and century old barriers that already exist, but how much greater did that hill just become because of her experience, because of how she was treated as a stranger? In order for us to learn, to grow and to be challenged, we need to be honest. As honest as we can, because it is in that honesty that God can begin to shape us and mold us. We are not supposed to know all the answers right now, but if we are willing to learn and grow through being honest of where we are, God will walk us through this. With that being said, I think if we are all honest with ourselves, completely transparent, there is something inside of us, however big or small, that feels as though we have a good, comfortable life because we have earned it. We might say something like, ‘God thank you for allowing me to be born in America, I don’t deserve all your blessings.’ However, we have a posture in our spirit that holds on to the idea that we built this and therefore deserve it. I found, that in being honest, there was a part of me that felt that I am more blessed because I am Christian and I am an American. I was challenged with the idea that God created all Muslim refugees in His image, just as He had created me in His image. This posture, even if just an ounce, is detected by those who are not from here, and is a great turnoff. This coupled with the fact that America is a self-proclaimed Christian country can create a deadly trap for us. We begin to believe we are supposed to protect this piece of land against all non-Christians and keep them out to preserve our ways. God is giving us an opportunity to introduce Jesus to the world as He brings the world to our own backyard. Throughout the history of the world, migration of people has been a huge part of it. The verse I used above is about the migration of the Jews to/from Egypt. God called Abraham to get up and leave, to migrate to a foreign land so he could establish a covenant with him. We can choose to be a part of that plan through building relationships with Muslims and welcoming the foreigner into our communities. Or we can turn our backs and say ‘No, I don’t want them here, they are a drain on our society and our culture’, and continue to believe the lies that misguide and misinform our country everyday. The good news is that this experience didn’t define my friend.. She has not given up on America, or even Christianity. In fact, she has welcomed us into her life, as her family is our key contact in Sun Valley. She even volunteers on a regular basis with my mother-in-law at the Denver Rescue Mission serving meals. She said she loves how much kindness the Mission has for these people in need. In addition, she is treated with gratitude from those receiving the meals. Do you know what the logo of the Denver Rescue Mission is? Jesus Saves. She isn’t running from the Gospel. During the car rides to/from serving, my mother-in-law gets to have 15 minutes to chat and build a deeper relationship with her. On a recent drive, my friend asked my mother-in-law what they do at church. Her whole family was recently over for dinner at our house during the Christmas Season. Her older sister who is in college began to tell us that she joined a club on campus where she feels loved and cared for because they don’t look at her weird but instead allow her to be herself. She asked my wife and I if we’ve heard of it as it is a Christian club called Cru. We held back the excitement as we casually confirmed that ‘yes we know of them’. I don’t know what God will do with this. However, we believe that we are called by God to get into the arena with our neighbors, despite our differences and remember that He is the Creator of all, and it is because of His favor that we know Him, and we should not hold that from anyone. If we are in the arena, He will show up and build His Kingdom through us. But that leads to the question: are you in the arena? Not the war on Facebook, but in the trenches learning to love your neighbors just by showing up consistently and doing what you say you will do? I have another story to share. This is a story of a boy who I met the first day we ran a Friday Recess program in Sun Valley (a community just south of the Broncos stadium). The 2nd Friday Recess he came up to me and asked if I knew his name. I said ‘no’, as I couldn’t remember his out of the dozens that I met the week before. I asked if he knew my name. He said ‘no’. However, he seemed disappointed that I didn’t know his name. I told him there were way more kids for me to remember names than adults for him to remember. He said, ‘That doesn’t matter. You need to know my name.’ I learned right then that this boy wants to be seen: to be known and to be accepted for who he is. That’s what I want. That’s what we all want. We aren’t that different after all. At Hope In Our City, we have helped people get their US Citizenship, go to prom, work through the scholarship process and even escorted one girl to college her orientation weekend. We have helped them get jobs and even created an interior custom design and high-end home decor business called Mend Creative to train and employ women in Sun Valley. We run weekly conversation groups with the women, train young men and women on leadership and play (love) kids during recess. All of this has stemmed out of overcoming my fear and being human enough to start some friendships and to see what God does. We have had our new Muslim friends introduce us to their family/friends inside of Sun Valley because they trust us, but also to those outside of Sun Valley asking if we will take our programs there too. If nothing else, take this in: refugees, foreigners, Muslims, all humans are created to be known and want to be known, accepted, befriended and welcomed. Ultimately, we want to introduce them to Jesus as only He can do that perfectly. However, I believe that Jesus wants to use us to be the first step in the process as we welcome, befriend, accept and love our neighbors. I am going to quickly address the recent Executive Order made by President Trump. Whether you agree or disagree doesn’t matter. I actually think the system needs reform. And mainly the hearts and minds of the American people in how we have done at welcoming the stranger. It is easy for many to get upset at the executive level, but to then do nothing at the local leve: in this situation to welcome and love those who are already here. The Exec. Order doesn’t change the fact that the US brought in almost 900,000 refugees over the last 15 years. Yet prior to the Exec. Order, how well did we do at welcoming them? How will we do at welcoming them again in the coming months? We have the opportunity to do address how they are treated and loved. This isn’t accomplished by sitting in the stands, but by getting into the arena just as we are with all our imperfections, fears and internal wrestling. With that being said, I want to invite you to do something, to join us in the Hope Challenge, to step into the arena. The Hope Challenge is a tool used to encourage people to step out of their comfort zone, maybe even address and overcome some of their fears, to love a foreigner living among us. Additionally, it is designed to capture stories of how God is glorified when people invest in and positively impact people. So how do we do this and what can you do? Posture is so important. Take the time to learn about a culture, then learn from them by asking questions and being engaged in who they are. After that, you can learn with them, which is the first time in the process that you talk about yourself. Show you care about who they are first and foremost. Be true to who we are; not a false version of yourself trying to fit in or impress. Have fun: I don’t want to create something for others to do that I wouldn’t want to do myself. If you accept the Hope Challenge, remember how important posture is. This isn’t about you building your kingdom, or feeling good, or putting a feather in your cap. Success isn’t determined by whether or not someone says a sinner’s prayer by the end of coffee. In fact, if you are doing the 3 steps of learning about, from and then with, it will be a while before you might even be able to talk about yourself and especially the Gospel. So, trust God to do the work, you just be you. Lastly, I encourage everyone to have a heart of love, not just toward our neighbors, the stranger, the refugee, but also toward our family members, friends, church-goers, co-workers etc who might disagree about what you believe. Some people have been convinced that it is in God’s heart to have refugees here and that we are to love them and respond with hospitality. The goal is not to give anyone ammo to go fire around at people who don't believe the same way, therefore, causing fights and further dissension within the body of Christ. Instead, my hope is that we all gain courage and boldness to lead through example. I hope we choose to inform others politely with patience and grace, and to let God do the work in their soul. Lastly, I hope that all of us continually allow God to work in our own soul so that we all do a better job stepping into the arena each day and being a part of building His Kingdom, which does involve loving the foreigner among us. When I first moved here, going to school was difficult. Kids were very mean to me. They teased me, stared at me and asked weird questions. They asked if I had hair under my hijab (they thought I was bald)! They asked me if I ate from the trash in Africa. They called me a rainbow because of all the bright colors I wore. But there was one girl. She was “assigned” to me to shadow when I first moved here. She taught me some English and how to figure out where to go and what to do. She was kind to me; she was a friend to me. And she made all the difference! It is not their poor choices. It has nothing to do with mismanagement of money, or not being a good steward of their possession, time, talent, treasures. In fact, it has very little to do with any action by them at all. A refugee is made based solely upon the country, region and city in which they were born. When I think about how many poor choices I’ve made and how many times I’ve been a poor steward of what God has given me, I wonder why on earth did He choose me to be born in the United States of America, into a country that has seen prosperity unlike maybe any other in the history of the world. Yet, I find myself still thinking I’ve earned it somehow. What I realize is that I have done nothing to earn what God has given me, yet I’ve done plenty wrong to deserve much less than I’ve been given. What I’ve learned about refugees is that they’ve done nothing to deserve their plight in life and in many ways have been better stewards of their resources than I have been. Like the widow and the orphan, refugees did nothing wrong to be in the position of complete vulnerability and reliance on others. God’s heart for the least of these is so big, so should mine! We had a blast celebrating Christmas with some of our new friends in Sun Valley. Enjoy these photos below. Love or Fear Thy Neighbor? It is hard to fully grasp the journey God has taken me on over the past year. I entered into a new arena; ministry in my own backyard. The idea is simple, at least it appears to be: love thy neighbor. We can see it in the Old Testament through the many laws and the Ten Commandments, as well as in the New Testament through parables, and most notably, in Jesus. What I did not realize is how much of a transformation my own heart needed to go through in learning to love my neighbor. When Katie and I felt called to focus on our refugee neighbors, it brought concerns and even guilt: what is a refugee? It put pressure on this trigger in me that I had never explored before; fear in learning who my neighbor is. More specifically, exposing the fear that I had in who my refugee neighbors are and why are they in my city. 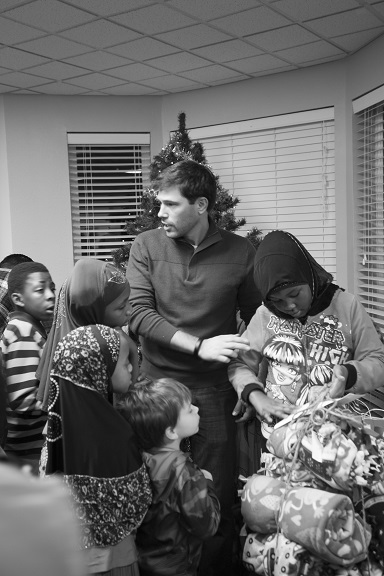 As we were pondering the idea of starting Hope In Our City and working with refugees, I got cold feet. Deep down, I thought I was supposed to be concerned refugees were here and worried about their effect on our morality and security. However, the Spirit of God was too strong and I surrendered to His guidance. With true fear and trembling, I began to ask God to show me what to do. How do I begin to love my refugee neighbor when I am not sure how I feel about them being here in the first place? Before God revealed how to build our organization, He took me through a humbling and refining process to prepare my heart to love my neighbor. He showed me His heart should take precedence over my political views. He reminded me that fear and trembling are reserved for Him, not my neighbors. He walked me through dozens of passages in the Old and New Testament where He poured out His love for the stranger, the foreigner and the alien. How had I missed this? How had I not seen that God cares for the foreigner as He does the widow and orphan? 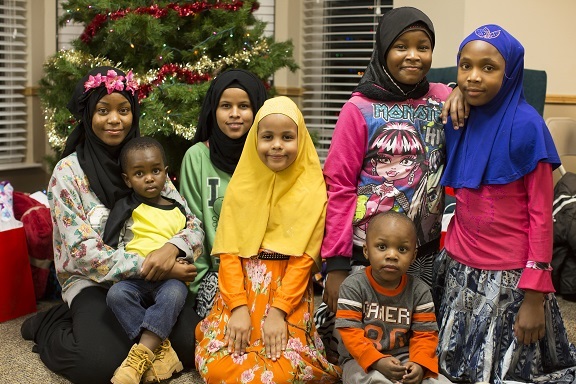 Over the next few weeks and months God introduced me to my neighbors, Somali Muslims living a few miles from my house. Every week I would arrive with fear in my heart. I could have been afraid of walking into the projects and one of the poorest areas in all of Denver. However, I was afraid of the unknown. One boy, aged 11, was upset because I didn’t remember his name the second time I met him. Now he runs up to me and gives me a big hug each time he sees me. A teenage boy continually asked me for months if this was our last week with them, or when my community service was going to end. One dad would stand and watch his kids play during our Friday Recess. When we asked him to join our soccer game his eyes lit up and he excitedly joined. These children and adults are just like the rest of us. They want to fit in and be accepted. They want to be known. History, recent history, shows the negative consequences society reaps when vulnerable children and adults become disengaged from healthy community. This happens when they are not known. I have the opportunity to prevent this from happening in my city. I can let love trump fear and help engage my neighbor. Over the course of a year, we have met 164 kids and gotten to know dozens of families. I no longer have fear and trembling toward my neighbors. I have felt their love, experienced their hospitality and enjoyed their company. I have seen how showing God’s love for them has already begun to impact their lives. Will you join us in loving our neighbors and helping refugees engage with society? 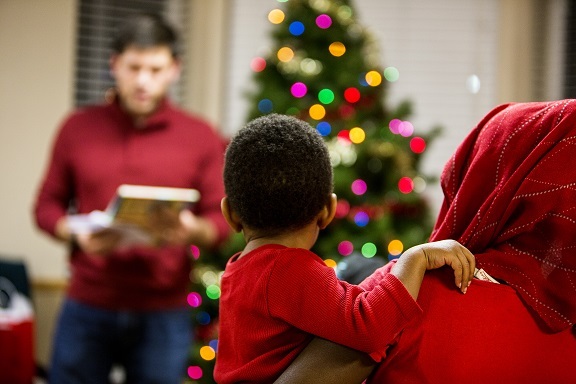 Please consider a year-end donation to help us foster healthy community in refugee neighborhoods. Refugees easily become disengaged from healthy society and become vulnerable to all types of evil alternatives as a result. 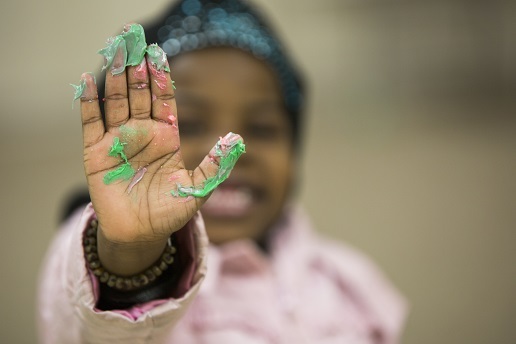 Hope In Our City exists to engage refugees where they are so they can connect in healthy ways to society and their community. 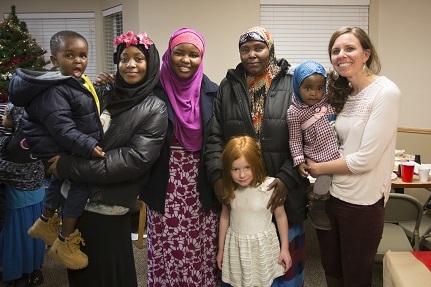 Hope In Our City has been able to connect with a local group of Somalian Refugees in the Sun Valley area. It has been a great joy to get to know them, see their smiles and hear their dreams. We pray for a bright future for them, full of hope today and for eternity. Unfortunately, that is not always the case. 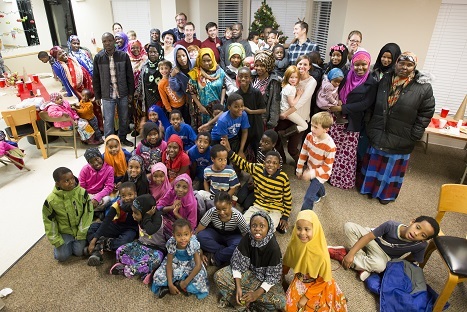 Here is an article from the Wall Street Journal about a town in Minnesota and their approach to prevent extreme groups from picking up Somalian Refugees as recruits. Today we meet with a family in the community where we'll begin our first outreach efforts. We are excited for this and anxious to see how God begins to work. Please be praying that God is there, guiding and leading the interaction. Identifying an advisory member family to be our eyes and ears in the community will be a huge blessing and a great step in beginning to assess the true needs of the community. Thanks for being a part of building God's Kingdom in Denver!